Home Featured Content Welcome to ROOT Magazine! 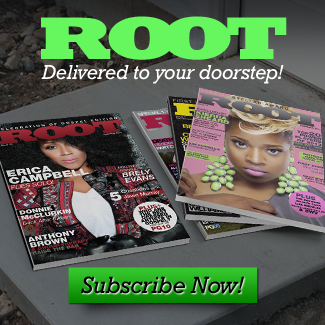 Click on View ROOT Magazine to See Issue 7! This evening was a transformation for Carnegie Hall. …… a mission from GOD for me and my wife Vivian. The writer’s account of the show was accurate with one exception….. we did have a Hammond B3 organ… played by PJ Morgan of Baltimore. Understanderbly, it might have been difficult to see with the 55 piece orchestra and 115 mass choir. All of the artists gave totally of their spirit to the whole of the show. No egos….. all love. Hi, congratulations on your many new ventures with Root Magazine! I recently read an article on you and your magazine in MyCommunityTrend in Bucks County. As the owner of a small printing company, I must say it warms my heart to quote you from that article “….he’s a magazine guy, and he likes the tactile feel of the medium.” I say “Amen” to that!! Printing is losing a lot of business, being displaced by the internet, but it is a pleasure to hear that many still appreciate the feel of a magazine on the beach or by the pool, or in the boardroom. I will be using your quote in my marketing materials! Kathleen A. Cusick, Director of Marketing, Color House Printing, Ivyland, PA.
Hey, this is to bad, we still need to cheat, but maybe it’s a natural thing.